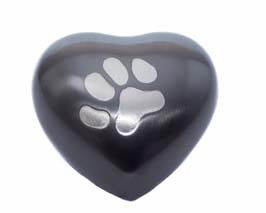 Small for pets up to 34 lbs. 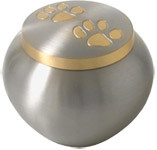 Large for pets up to 70 lbs. 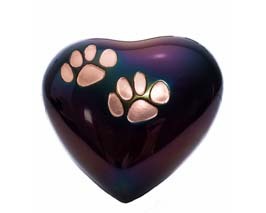 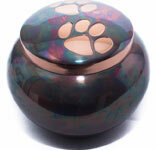 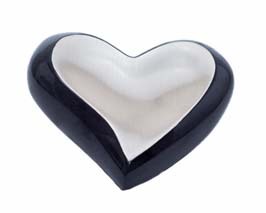 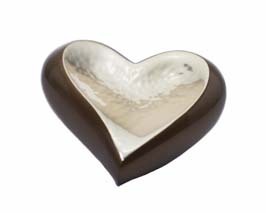 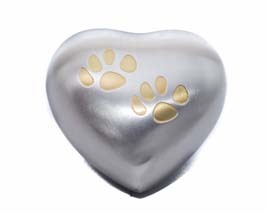 Beautiful pewter heart holds a small amount of cremains and fur. 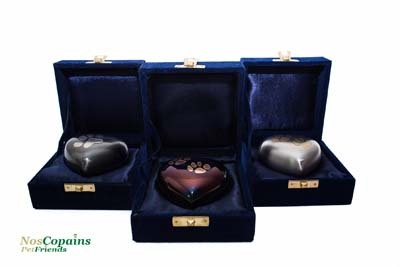 Each one comes in a velvet display case.